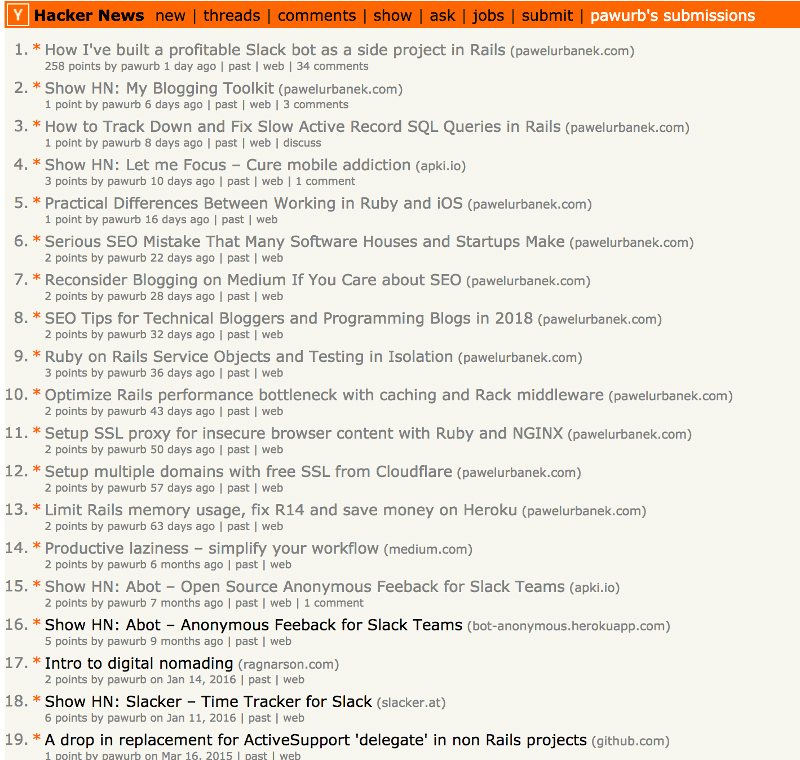 Two weeks ago my blog post made it to the top of Hacker News. 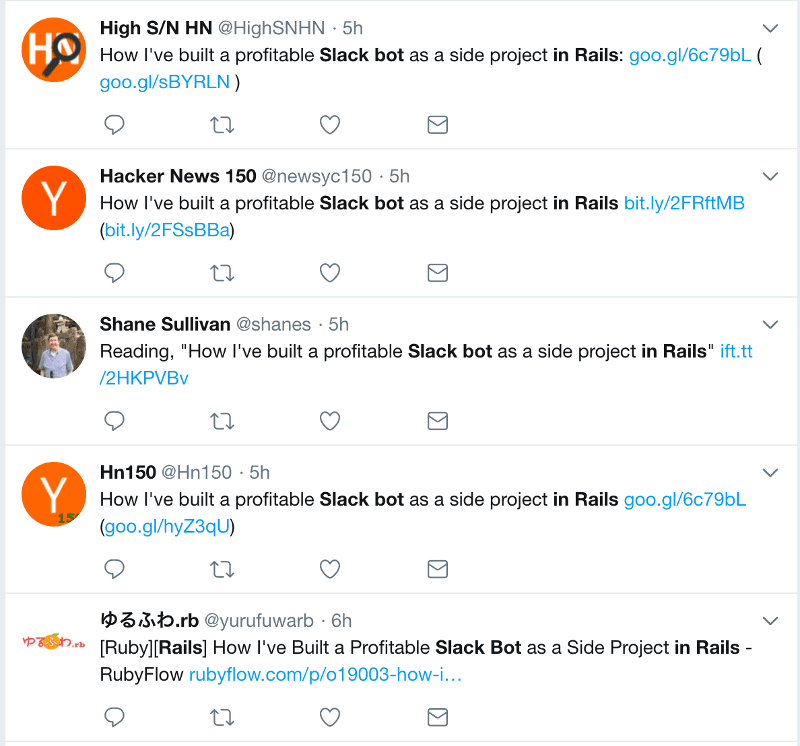 Around 30k people read about my side project Slack bot that day. In this blog post, I will describe how it affected the project and my other passive monetization and marketing strategies. Overall this blog post was visited by around 30k people that day. It received over 250 upvotes and provoked the interesting discussions on Hacker News, Reddit and the blog itself. As you can see the traffic is slowly wearing off but is still higher than before publishing the featured blog post. I did not publish anything new since then. Now that we know the raw numbers let me tell you how it affected my passive income and marketing strategies. I’ve added links to their respective landing pages in the previous blog post. I was hoping that some of the traffic would converse into sales. According to statistics around 3% of the previous blog post visitors bounced to these landing pages. Unfortunately, I did not notice an increase in revenue in the following days. 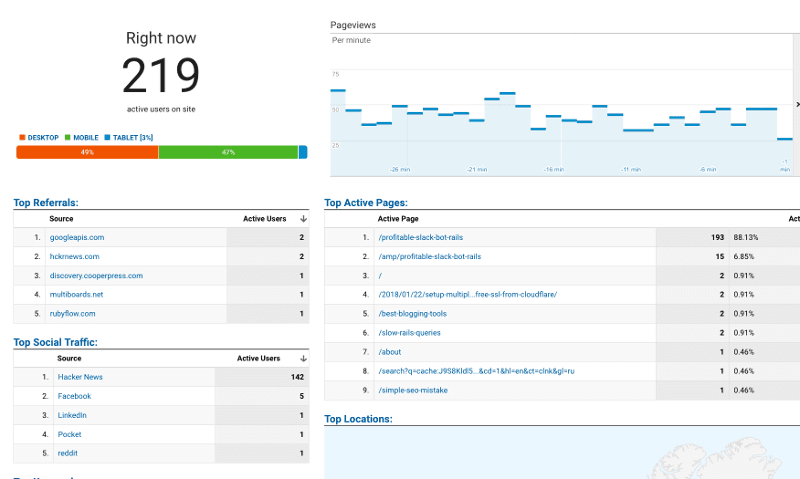 One nice side effect is that landing page of Block Distracting Websites for the very first time started receiving organic traffic. It might be due to SEO effect from the backlink but its just a theory. I am targeting the same “niche” of users with those apps. Meditation fans, caring about mindfulness, focus, and aware of the dangers of mobile addiction. Only recently I’ve added a cross-promotion in all the apps, hopefully, it will increase sales. I’ve been a member of Grammarly affiliate program for over a month now. So far it grossed around $100 for me. I’ve noticed a spike in clicks, signups, and income generated after the mentioned blog post. As you can see I am totally open about participating in Grammarly affiliate program. I would not like to fill this blog with some random ads I cannot control. I am glad that I can make some decent passive income by advertising the tool that I use and value myself. If you have a blog you could participate in their program as well. You can sign up here. And, yes it’s an affiliate link for an affiliate program. We need to go deeper. Your revenue would be the same, but 10% goes to me. The same as in the case of my other iOS apps landing sites, around 3% of the featured blog post traffic bounced to the link I’ve added there. Although the app is free I did not notice an increase in downloads. 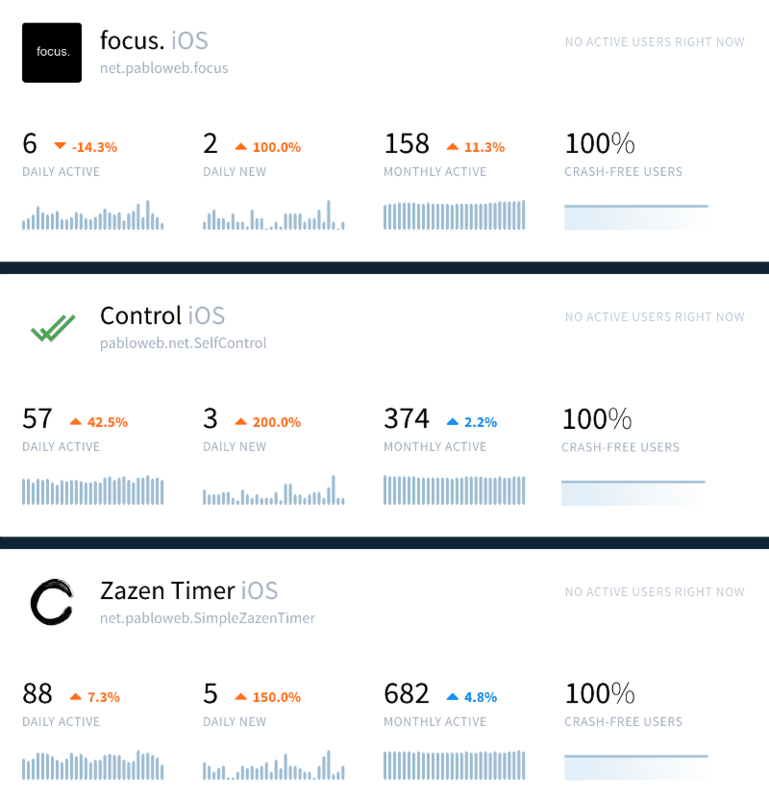 App is integrated with automated Facebook and Twitter bots. It is supposed to make money on a 9% affiliate commission from users purchasing discounted apps from my links. Not much profit here yet. As you can see it has not been too profitable (“payout” not “revenue” is my profit). Until recently it’s infrastructure costs were $25 a month. Cost is mainly due to the high number of background jobs necessary to keep users informed about discounts. As of today, it’s around 100k daily. Last week I migrated from Heroku to self-hosting on a Digital Ocean VPS using Dokku, reducing monthly cost to $3. I am no dev ops pro but it was surprisingly easy to migrate and usability is almost the same as on Heroku for the fraction of the cost. Although this app is not profitable I want to keep it operating. I know that there are some happy users because I got a bunch of 1 star App Store reviews when there was a downtime due to migration error I’ve made. Twitter is an important marketing channel for me. With ~200 followers I am a small fry but tweets with proper hashtags can get a nice organic reach if retweeted by more “influential” users than me. Since publishing the last post I’ve gained around 40 new “stable” followers. By “stable” I mean the ones that don’t unfollow you after a couple of days if you don’t follow back. According to Google Search Console, my last blog post has been linked to by most domains so far. I think the high number of links is the result of my blog post popping up in various search results represented by different URL’s each of them counted separately. I’ve checked some of those links and many of them do not have a nofollow attribute. It means they count as a backlink and should contribute to improving my SEO. Surprisingly, I did not notice an increase in organic search traffic to this blog. Maybe next blog post would rank higher on Google. 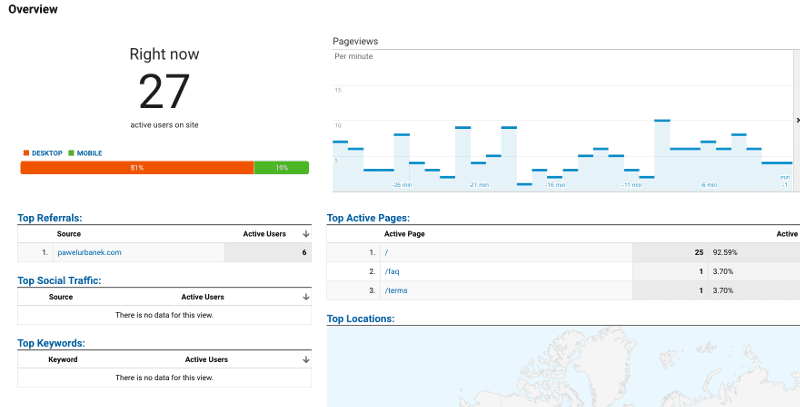 I get most organic traffic just after publishing a new post. Google probably values fresh content more. Discussions on Hacker News, Reddit and blog had many valuable comments. 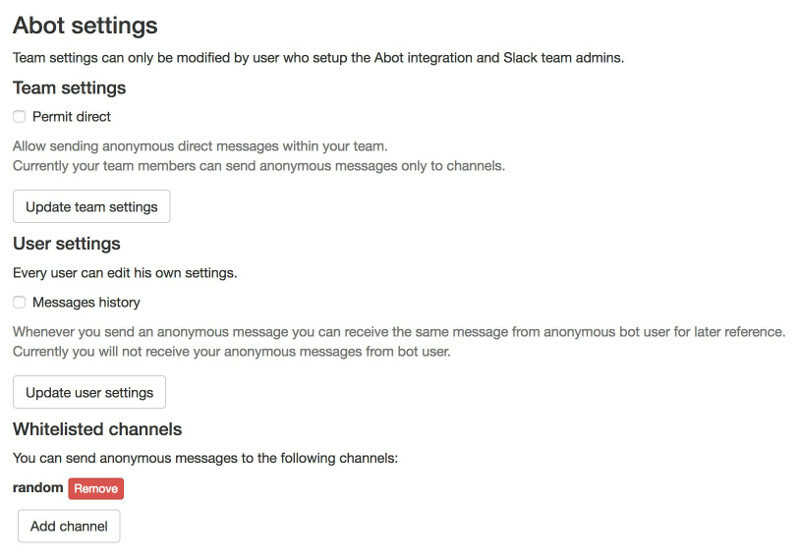 I would like to thank everyone involved because they inspired me to apply significant changes to Abot. Hopefully, it will increase the number of teams who will find Abot beneficial for improving their communication, or decide to use it just for kicks. What’s interesting is that most of the new subscribers asked me to send them a template so it means they subscribed on the above page. The template itself was not mentioned in the post so visitors must have wandered around the blog. If you have a blog and are afraid that one of your posts might go viral you should seriously consider running it with a static site generator. Nothing more annoying than clicking a link on Hacker News just to see an error page. My template could be an optimal tool for you. 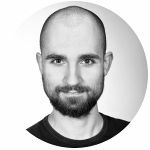 For SEO reasons you can read about in my other blog post, you might want to keep it on the same domain as your startup. In that case, you could configure NGINX to serve blog static pages without additional workload for your backend servers. Content marketing is a powerful tool that I am just beginning to discover. 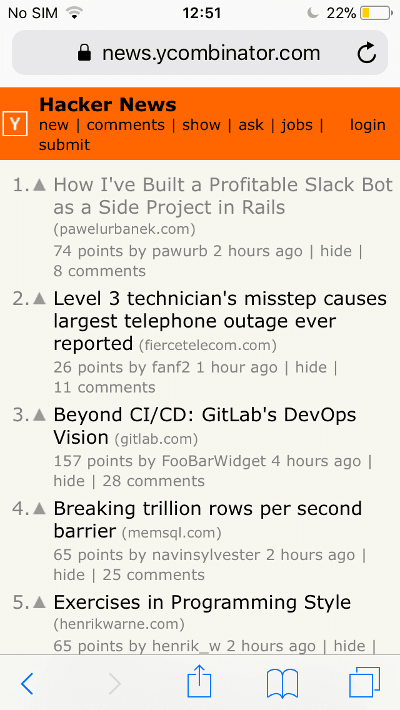 As you can see the successful submission I wrote about was by no means my first try at making it to the top of the Hacker News. If you have a side-project or even a “serious” startup and not running a corresponding blog you could be missing out on a great opportunity to promote it. I have a feeling that people enjoy a story more than yet another bootstrapped landing page.